What Makes a Good Children’s Party Magician? Do you need a really good children’s Party Magician? I perform a children’s party show that lasts about an hour, appeals to children with a wide age range, and has lots of audience participation. It’s silly, colourful, and magical, but it’s a lot more than a series of magic tricks (which children’ quickly get bored with). It’s more of a theatre show with a story line lots of slapstick, a bit of pantomime, loads of audience participation, and all the groan-ups have to join in or else … Get the idea? It can be adapted to fit most occasions: birthday parties, weddings, theatres, schools, arts festivals, fetes, and any other occasion you can think of. And for that special birthday party – Free Invitations at no extra cost with all the details of your party – click here for more information. 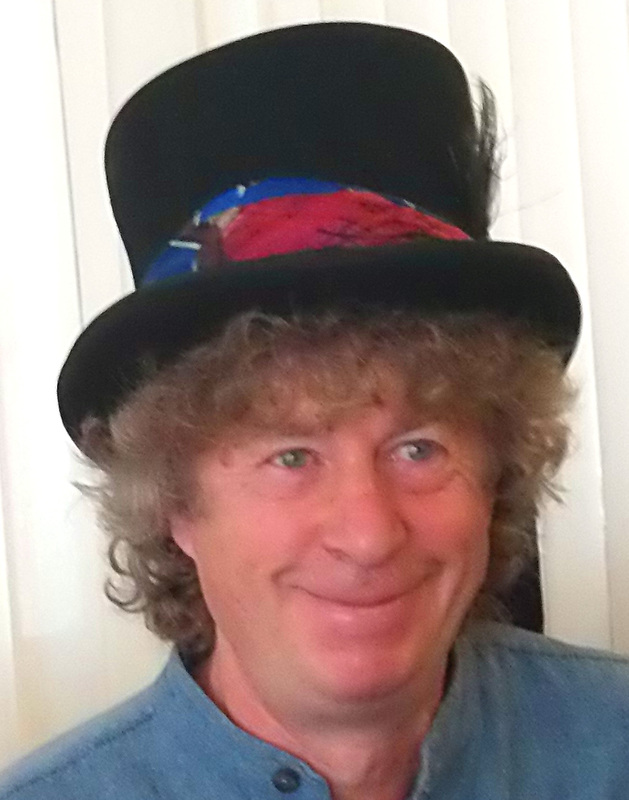 The show starts with the children sitting quietly on their best behaviour (your job), then I enter and do a bit of warm up slapstick – I may have terrible trouble finding my hat “It’s on your head” and even more trouble getting it to stay on, but eventually I’m ready. Then the story begins as I draw the audience into a fairytale world where playfulness and imagination take the audience on a rather silly adventure to rescue everyone from the Goblins of Blackbogie Forest, or Captain Dribblesnot and the Pirates of the Green Bogie, who are coming to steal the birthday cake, or possibly eat the children, depending on their age. I’m upstaged by the children, the world’s smelliest sock, a rather naughty bunny rabbit, and a very disobedient walking stick that persists in flying through the air and whacking me on the bottom. I fall over a lot, have arguments with my hat, my stick, an invisible rabbit, and the silly sausages that keep interrupting the show. Children get turned into frogs, dads get turned into fairies and the world gets turned upside down – it’s a world of fun, fairytale, and imagination, filled with laughter, fooling, and audience participation, including the adults who have to join in! In the end we find the end of the magic rainbow and are saved from the wicked pirates, and we all live happily ever after. It’s very silly and everyone has a good time, especially me, otherwise I wouldn’t do it. The most important thing is that I really love my work as a children’s party magician. For younger children Mr Silly Billy performs a very funny show that introduces children to the all important life skill of shouting ‘IT’S BEHIND YOU!’ Mr Silly can’t find his spectacles (he’s wearing them) or his suitcase (he’s sitting on it) and oh no, his magic stick just whacked him on the bottom – AGAIN! And here is what I don’t do. I don’t try to impress the children by doing something clever that they can’t do, I don’t play disco music, I don’t use a microphone, I don’t wear a red nose, I don’t show off (unless I’m about to fall flat on my face), and I don’t usually frighten the children. What I do is stick to simple ideas that children understand, make them feel that they are cleverer than me, and make them laugh and feel good about themselves. Click here for price details. Please note that in these hard times I am currently offering up to £50 off midweek parties (£25 on Fridays) and there are some restrictions – see prices page for details. 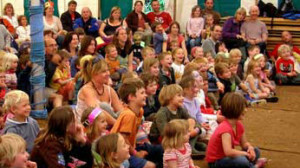 Professor Paradox performs children’s party shows in East Devon – areas covered include: Axminster, Budleigh Salterton, Exeter, Exmouth, Honiton, Lyme Regis, Newton Abbott, Ottery St Mary, Sidmouth, Tiverton, Topsham, Totnes. Professor Paradox provodes spectacular children’s party entertainment in Dorset includes the following towns: Blandford, Bridport, Dorchester, Gillingham, Shaftesbury, Sherborne, Weymouth, and all the villages in the area. Professor Paradox performs children’s party shows in Somerset including South Bristol and Bath, Bridgewater, Bruton, Burnham on Sea. Castle Cary, Chard, Frome, Langport, Somerset, South West England, Somerton, Street, Taunton, Wellington, Weston-Super-Mare, Wincanton and Yeovil. 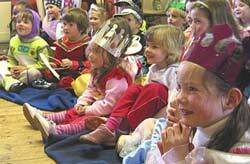 Great entertainment for children’s parties in the following areas of Wiltshire: Bradford on Avon, Radstock, Trowbridge, Warminster, and the villages in between. Professor Paradox works as a children’s entertainer in Devon – areas covered include: Axminster, Budleigh Salterton, Exeter, Exmouth, Honiton, Lyme Regis, Newton Abbott, Ottery St Mary, Sidmouth, Tiverton, Topsham, Totnes. Professor Paradox does children’s party shows in Somerset including South Bristol and Bath, Bridgewater, Bruton, Burnham on Sea. Castle Cary, Cheddar, Chard, Frome, Glastonbury, Langport, Shepton Mallet, Somerset, South West England, Somerton, Street, Taunton, Wellington, Wells, Weston-Super-Mare, Wincanton and Yeovil.